We have just added a new equestrian prize draw to our horse prizes page from Equestrian Clearance Warehouse. 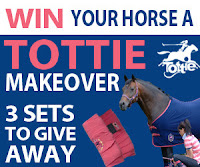 The prize includes a Tottie Vegas Fleece Show Rug / Cooler and Tottie Vegas Fleece Bandages. 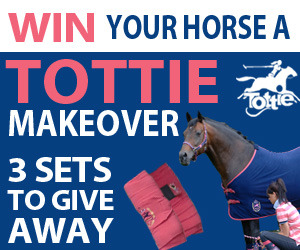 There are three sets up for grabs, won't your horse look snazzy in these!